The perpetually sunny climate in California makes it the ideal place for people who want to spend a lot of time in a pool, which is the reason why places like La Quinta have some of the most beautiful looking pools in the country, both in terms of residential and resort pools. But these pools need proper and regular maintenance, and if there are problems – quality repair. This is where we come in. CV Pool has been around for decades now, and have helped residential and commercial pool owners in the La Quinta area with a wide variety of pool service and repair. Besides maintenance and repair, we also help people with their landscaping, BBQ islands, patio covers, safety fencing, acid washes, and all manner of services that contribute to more beautiful, safe, and enjoyable swimming pools. We are staffed with highly-trained pool technicians and service crew, and we are fully licensed and insured so you don’t have to worry about anything untoward happening during our work. All you need to do is lay back and let us do our magic. By the time you check on us, you will finally have your dream backyard or swimming pool. Pool Inspection and Repair – sometimes problems with swimming pools end up being unnoticed until they get worse enough to be noticeable. The repairs we provide to these neglected pools are important because it ensures that the pools are safe to use, but we can also provide pool care inspection services that will catch potential problems before they reach the point where costly repairs are needed. 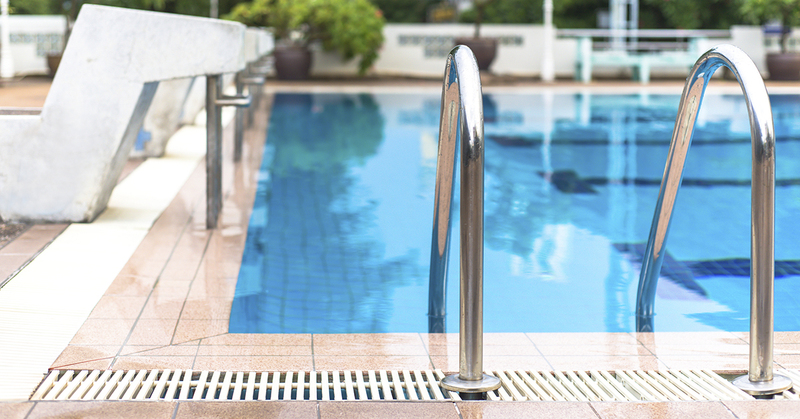 We have licensed pool repair experts on our team with years of experience when it comes to scooping out malfunctioning or improperly fitted parts. We can make recommendations and also have the equipment and expertise to keep your pools in tip-top shape. Pool Cleaning Service – even if your pool is functioning perfectly, it may still require some cleaning. An unkempt pool poses no immediate risk, but they can be disgusting and unappealing compared to a pool that is properly cleaned and maintained. We provide full service pool cleaning on a weekly or monthly basis, and we only use top of the line cleaning materials that are safe and effective. Safety Fencing – pools can be hazardous to kids, pets, and the elderly if left alone. So we also offer safety fencing services. We will help evaluate and recommend styles and options that will fit your need and budget, so that you can enjoy a pool that is not only attractive but also safe. Patio Covers and Misters – the sunny weather in the area is ideal for a day in the pool, but sometimes the sun can be raging hot and can make the temperature so uncomfortable even with the pool. So we can install patio covers and patio misters that can help control the temperature, bringing it down to levels that will allow you to enjoy your backyard while still enjoying the sun. So if you are ever in need of Palm Springs pool service or just need a few pool experts to take a look if your pool has problems, do not hesitate to contact us. We are always ready to provide consultation and estimates.